Bright yet delicate, Suzhou Erhus especially highlights tonal complexity. This Suzhou Black Sandalwood Erhu by Zuo Zhiguo is built for intermediate students who want to further refine their Erhu skills. Made from Black sandalwood, this Erhu is beautifully crafted by Erhu maker Zuo Zhiguo, an upcoming star maker in Suzhou. 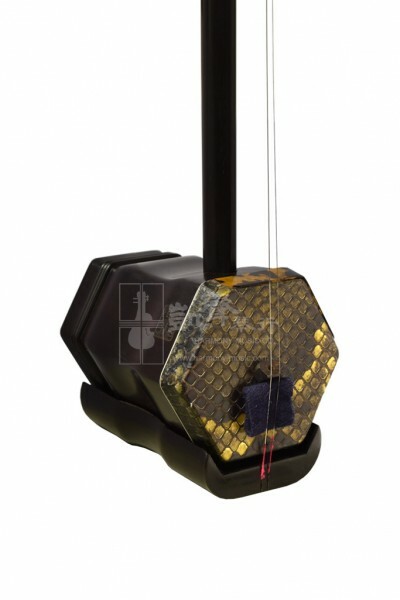 Accurate sounding with balanced resonance and great volume, this Erhu produces a warm quality in its performance and have received numerous praises from experienced Erhu makers. Comes with a bow, a spare string set and bridge, a rosin and a case, this Erhu will be an affordable upgrade from your beginner Erhu.